The uniquely shape building with the greek mythology interior design is now standing and determained to offer world class facilities and services. 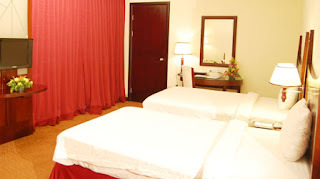 The hotel is well located of the business district, with well appointed rooms including Superior, Deluxe, Executive and Suites. 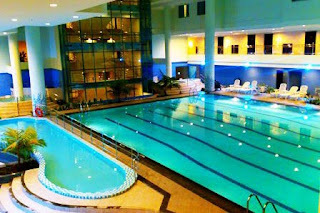 You can also enjoy the facilities including Grand Ballroom, Neptune Executive Lounge, Athena's restaurant & coffee house, Health club swimming pool, Belladona Holistic SPA and the Beauty Salon and many more. 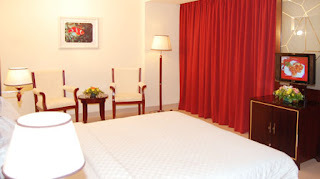 We offer the great acomodation with the International class facilities and the greek Mythology interior design, include Superior, Deluxe, Junior suite, Classic suite, Palace suite and the President suite. 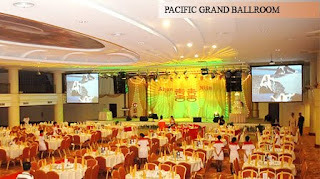 Pacific Palace Hotel providing Ballroom, where the Pacific Grand Ballroom is the biggest and the most luxurious ballroom in Batam. 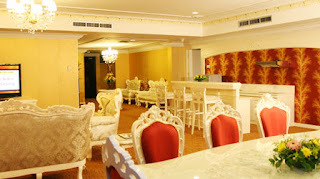 It is an ideal venue for various banquet events such as wedding, seminar and birthday parties. 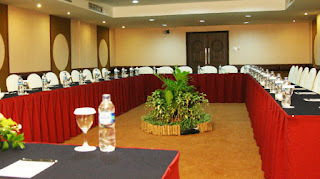 The main conference hall can accommodate up to 3000 participants with the best audio visual equipments. Banquet team will provide professional assistance to ensure successful events. 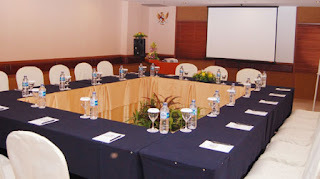 Pacific Palace Hotel providing meeting rooms for your business with different style including Board of Director, Class Room, Hollow Square, T Shape, U Shape and Theatre for meeting, conferences, and seminars. Athena’s is our signature restaurant. You may take this best moment with your business partner, family and friends. 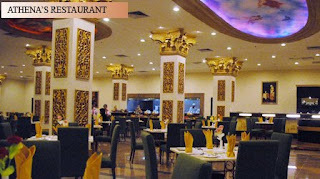 Athena’s restaurant provides Western, Asian and local favorite food. Athenas Restaurant also including wireless Internet connection facilities. 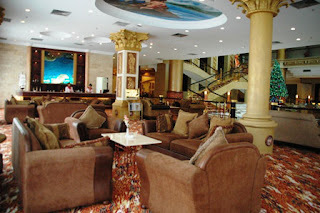 Indulge yourself with Samaria Acoustic entertainment while enjoying your beverage at Neptune Executive Lounge & Bar. Enjoy our outdoor swimming pool complemented with fitness centre, plunge pool, aerobic room, pool bar, sauna and steam facilities. ADORABELLA Holistic SPA & Beauty Salon - Relax, refresh and rejuvenate yourself with our various treatments, including full body massage, foot reflexology, facial treatment, therapy and other services.